On April 28, 2561, students studied music. 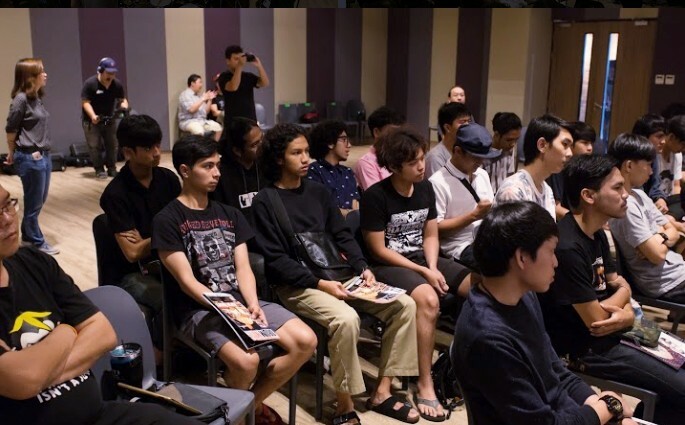 Faculty of Arts The workshop "WHY" Drummer Tutor 4, with many speakers, including Mr. Sittichai Sathit Thep Bancha. popdrumtutor.com Learn about the practice and play with Metronome that can be used. And the concept of using in various ways. Lastly, Mr. Sittichai has the opportunity to work with the big concert of the famous singer "Chok Productions Lucky", and then another speaker is Mr. Aktarit Chotika From Smallroom Cable to the knowledge of Plug Jack & Audio Cable. Using Jack cable, various cables. End the workshop with a show from WHY Band, which consists of Musician / Singer With so many experiences. In the recording room and live show for artists held at Teera Music Pinklao.